One of the smart ways to keep fingers warm in the winter time is to keep them together and the Tommy GTX mitten for juniors does just that. 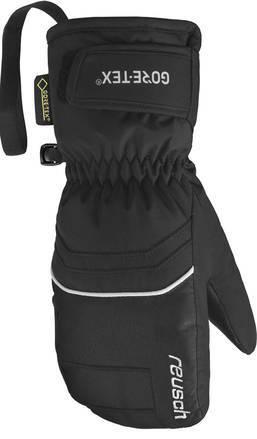 These junior mittens are built with a Gore-Tex (GTX) membrane. This ensures that as they will keep out moisture and water your hands can still breath through the fabric. This way your hands will stay dry and comfortable. The insulation will keep your hands warm so you can stay focused on your game in the snow. The waistband will ensure a good, tight and precise fit and the storm-leashes will ensure you don't lose the mittens when out on windy days.